If you are a blogger, or influencer then you probably know by now that having awesome content is super important for your overall brand. Social media is not about posting a cute photo anymore. If you're doing social media for any type of business or any type of growth you must be strategic, well-planned, organized, and ahead of all of your competition. Creating a social media content schedule is key to not being stressed out about your content. It is completely unacceptable to wake up every morning not having any clue what to post on your pages and having to spend all day searching the internet for something good. It is way more efficient to plan your content in advance. I personally plan one month of content in advance. This way, you are always ahead of the game. The best thing for planning your content is The Content Planner. It is an amazing tool created by Instagram babe Kat Gaskin. 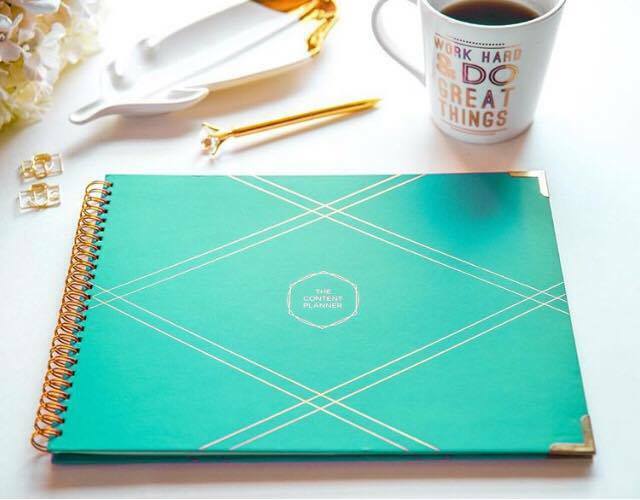 I have been using Kat’s dreamy images for my feed for a long time, and in 2016 she launched the absolute perfect planner for boss babes who need to get a handle on all of their content. This year, the 2018 planner comes with more space, it is more customizable, and comes with tons of stickers to distinguish your social media platforms. This is seriously a must have product if you are serious about content planning. 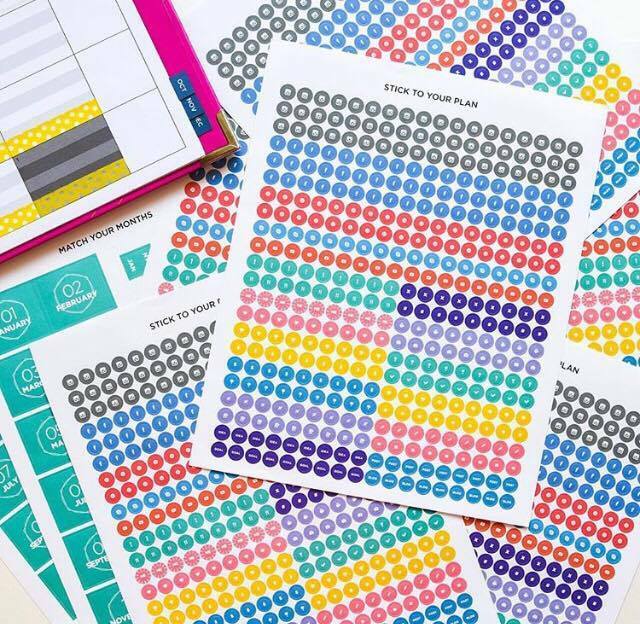 If you aren't ready to splurge on an expensive planner, don't worry because you can use anything that you have available. For the first year of blogging, I used a .17 cent notebook, then I moved on to printable calendars. Now I use a combination of both. You will have to find the right system for you and sometimes this will just take time. How I made my first $100 Blogging! Choose a theme for each month. Use Holidays and trending topics for your content. The first thing I focus on one planning for any type of content is whatever holidays there are that month. Obviously if it's Christmas or Halloween or a huge holiday I'm going to be creating content towards this holiday. The next thing to do is check and see if there's any random holidays that are relative to your niche. National donut day, national puppy day, national bikini day, there are so many random holidays and they're just might be one or two that will go with your niche that you might want to put into your content plan. After that you want to plan your content around whatever you're delivering that month. Are you releasing an e-book? Are you releasing and e-course? Are you releasing new products into your store? Do you have juicy new blog posts? Did your interview someone interesting? Basically any new posts and projects should be included in your content plan. Anything new you're going to want to add into your content plan. Always leave some open space for stuff that's trending there's always new things that are trending online that you never know one day something might pop up that's directly related to your niche even if it's a new meme to share something to get a smile here and they're always leave a little bit a room for trending things that you can never plan for. Creating/Gathering your content for posting. Once you've created the plan, you need to get all the content lined up so that it is somewhere where you can easily access and post it on time. This includes creating graphics for Pinterest, Twitter, and other social media of all types, getting the photography that needs to be done. If it's new products or if you've just created something and you need to get some images you need to make sure that every ounce of your content is ready ahead of time you don't want to be scrounging around every single day for content you wanted to be ready to post. First of all, I have heard of SO many apps for planning your social feeds ahead of time, but the only apps I use are Tailwind, which is a way to schedule all of your pinterest pins in advance as well as join tribes of people who will repin your content for you and help it go viral. I also use Planoly, which is an instagram planning app that allows you to play around with your feed and arrange your images the way you want so you can view how your feed looks before posting an image. This helps with keeping a theme. I don't like to download a lot of apps, a lot of them do cost money and that adds up over time, If I try one and I really think it benefits, but usually apps that I download last for like a week. Tailwind and Planoly are the only apps that have survived. I hope you find this information helpful for you! I have truly noticed a difference in traffic and engagement since I started planning my content and feed. I promise it is important for you to do as well. Did I miss anything? Let me know in the comments I would love to hear from you!